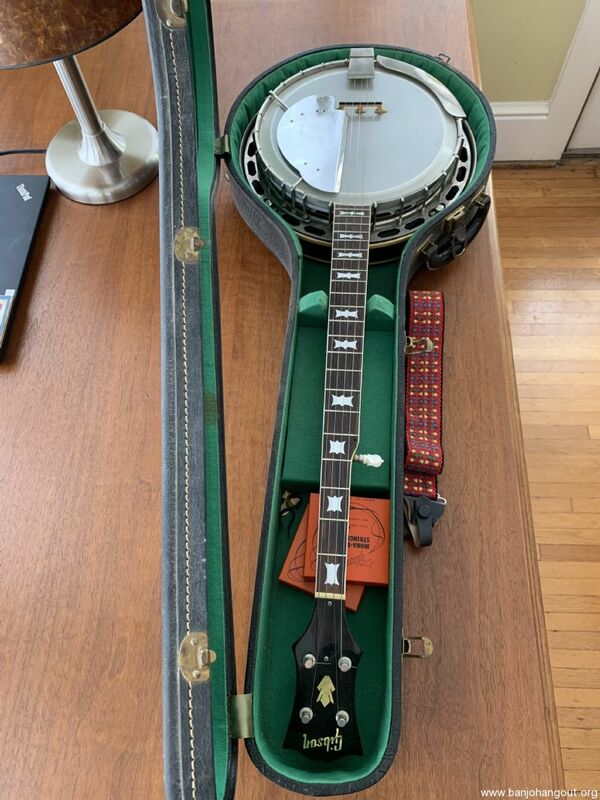 SOLD For Sale: SOLD: Gibson 1954-55 RB-150 Banjo. For your consideration is a 1954-55 RB-150. 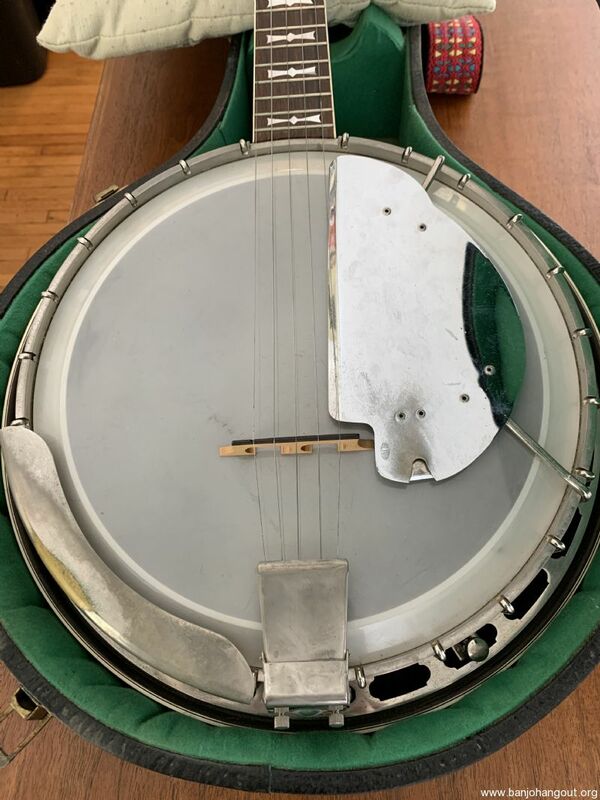 I am selling this banjo in As Found condition. 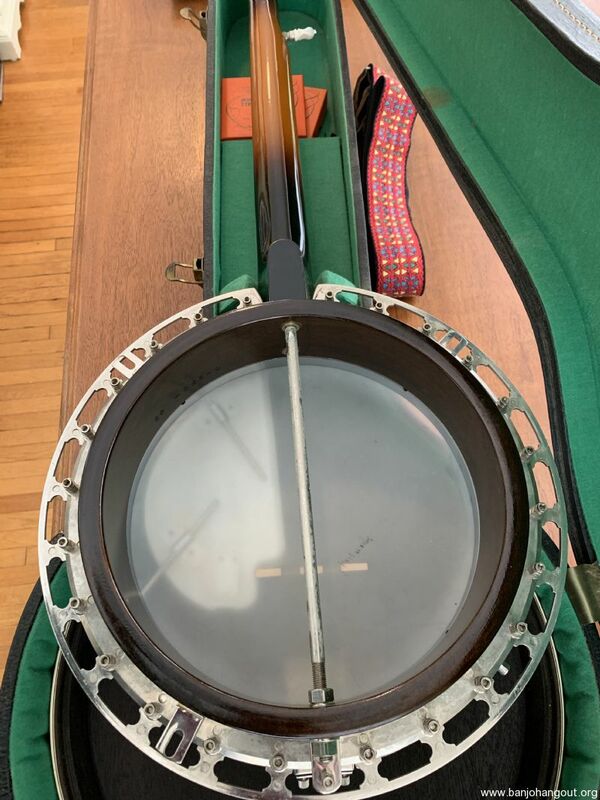 The banjo is in very good condition but needs setup. It appears to have been sitting for a while. My observations of condition are as follows. 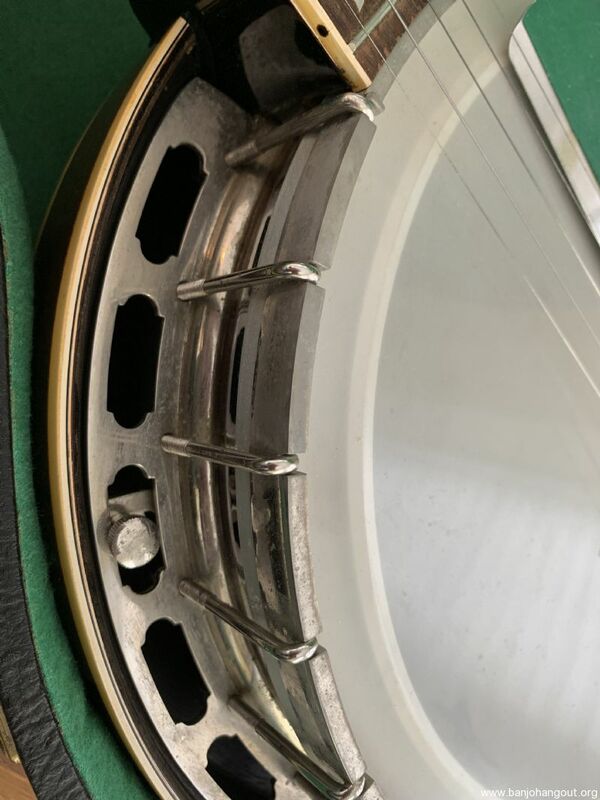 The rim was probably cut and fitted with a 250 four hole tone ring at some time. 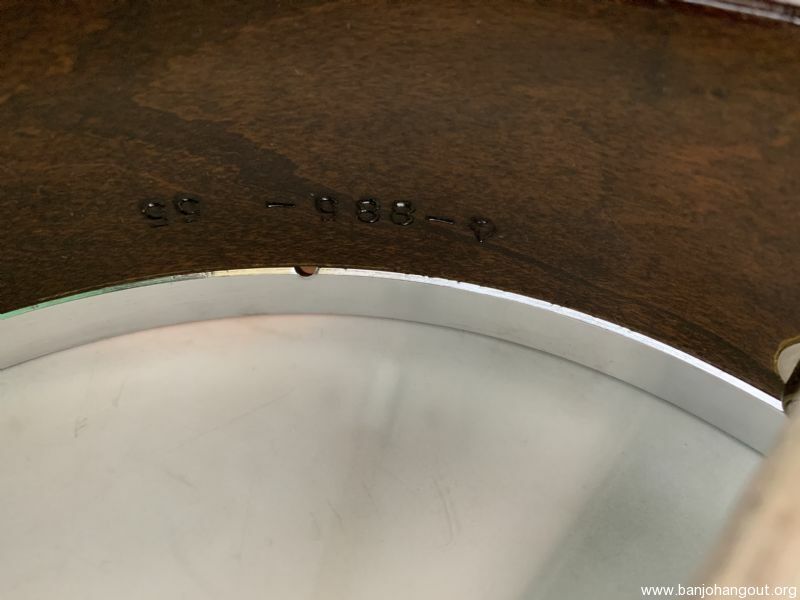 The pot shows signs of refinish. The neck was nicely refinished probably when ring was added. The fifth peg was also replace and is included with sale. 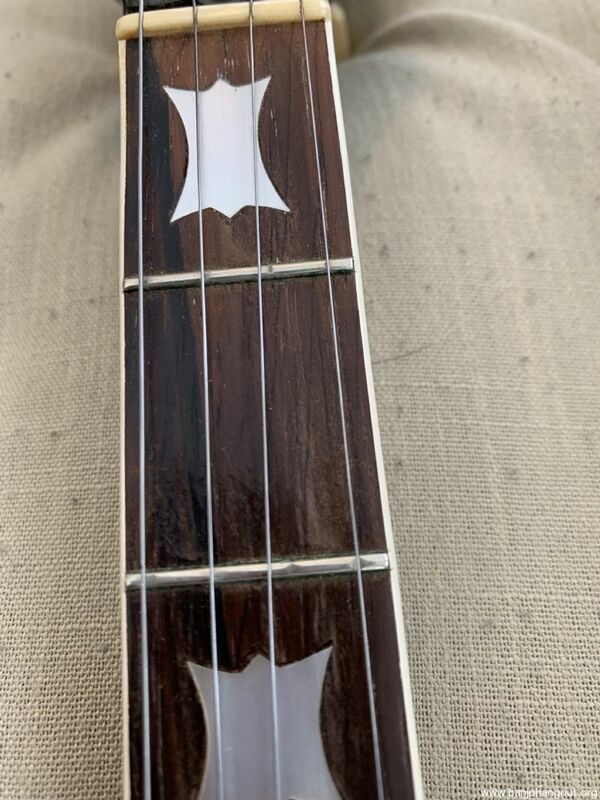 The banjo shows mainly 1-4 fret wear and some finish wear around neck binding near peg head. Neck is straight. 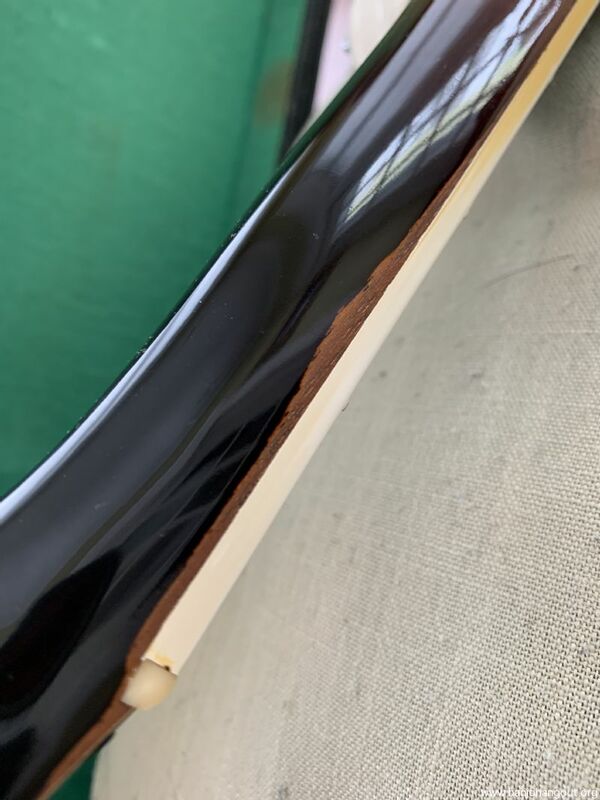 Finger board has some play wear mainly 2nd and 8th frets. 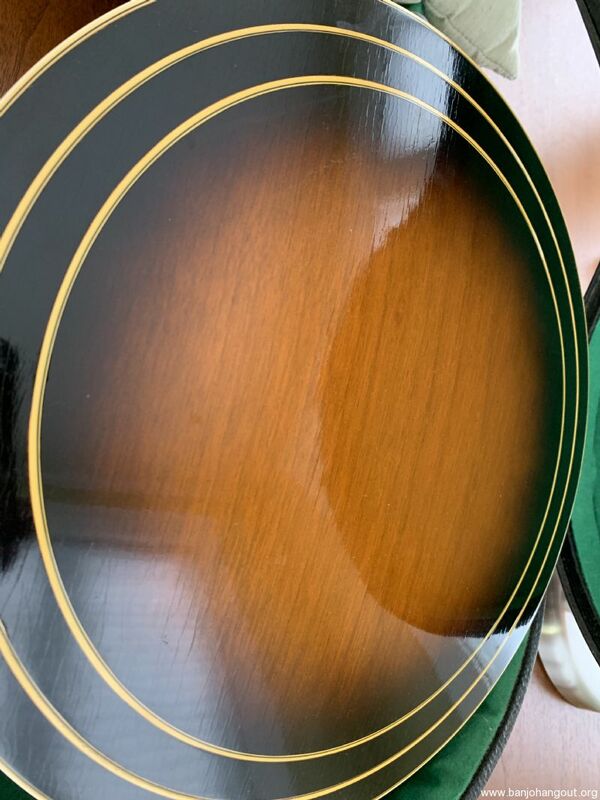 Resonator is excellent with light surface wear and scratches and checking. The pegs are klusons and a couple have shaft play and turn loosely. The metal has tarnish throughout. The flange looks like maybe 1/8” pull around neck heel area. Tension hoop good. Armrest shows some brass balled through. 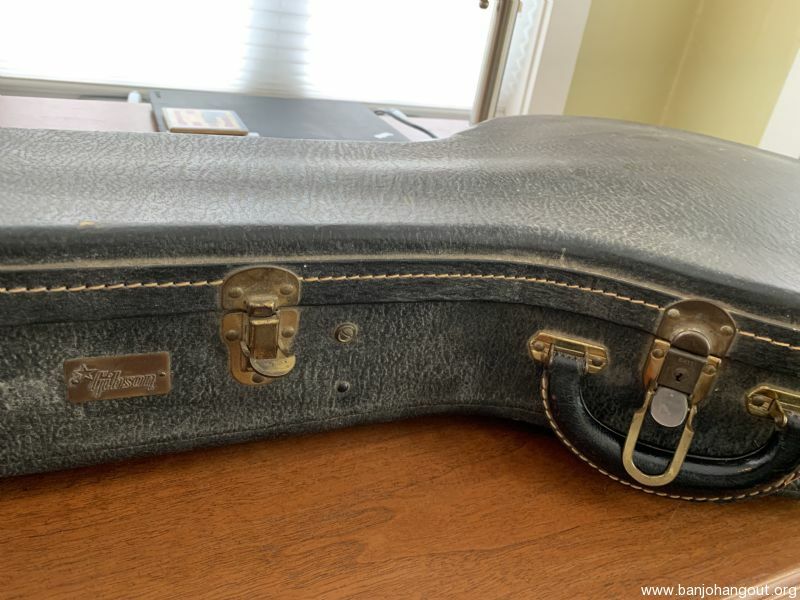 This is a nice old 50s banjo that appears to be all original except for mentioned ring and refinish. 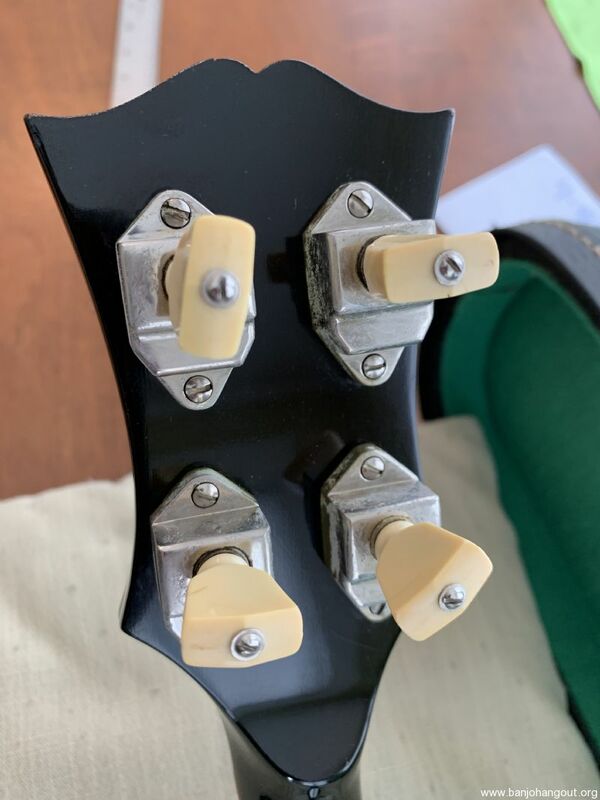 Resonator does not appear to have been refinished. The case is excellent! With key. Feel free to contact me with question. Please refer to pictures fo description. I thought I would float this for sale for a week or so before tearing down for my setup and keeping. Ser no. 4-885-55. Nice old banjo package. Thanks for looking. Shipping calculated on location. Sorry shipping to lower 48 states only. Additional return policy details: Returns for same in same condition.